Attending the ISABS conference are (from left) Gianrico Farrugia, M.D., vice president and CEO of Mayo Clinic campus in Florida; Kolinda Grabar Kitarović, President of The Republic of Croatia, and Dragan Primorac, M.D., Ph.D., professor at the Universities of Split, Rijeka, and Osijek, Croatia. Mayo Clinic Center for Individualized Medicine’s work in moving precision medicine from discovery into patient care took center stage at the 10th International Society for Applied Biological Sciences (ISABS) Conference held in Dubrovnik, Croatia in June. 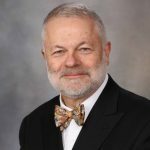 More than a dozen physicians and scientists from Mayo Clinic presented the depth and breadth of their latest research in areas such as the microbiome, neurology, bioinformatics, epigenomics, hematology, biobanking and gastroenterology. These and other talks by scientists from Europe and the United States were part of the Mayo Clinic Lectures in Individualized Medicine. The medical component of this conference also featured world leaders in forensic and anthropological genomics. 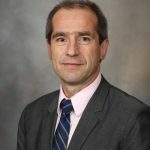 In his remarks, Gianrico Farrugia, M.D., vice president, Mayo Clinic, and CEO of Mayo Clinic in Florida, who helped launch and then led the Mayo Clinic Center for Individualized Medicine (CIM) from 2011-2014, shared Mayo’s journey of creating robust infrastructure under the umbrella of the CIM. 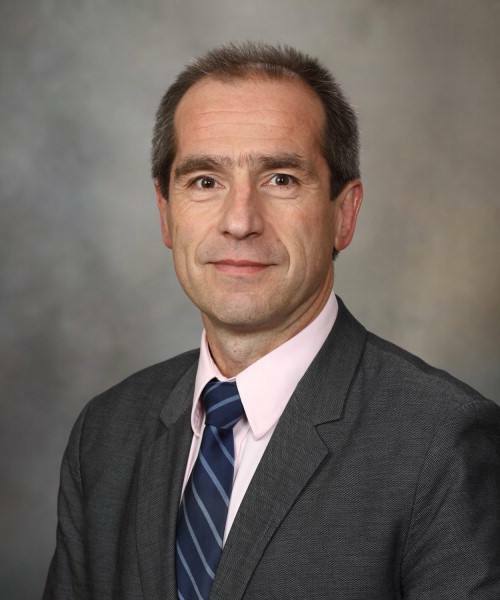 Tamas Ordog, M.D., director, Mayo Clinic Center for Individualized Medicine Epigenomics Program, served as co-program director of the ISABS conference and also presented a lecture on Metabolic Control of Transcriptional Memory. 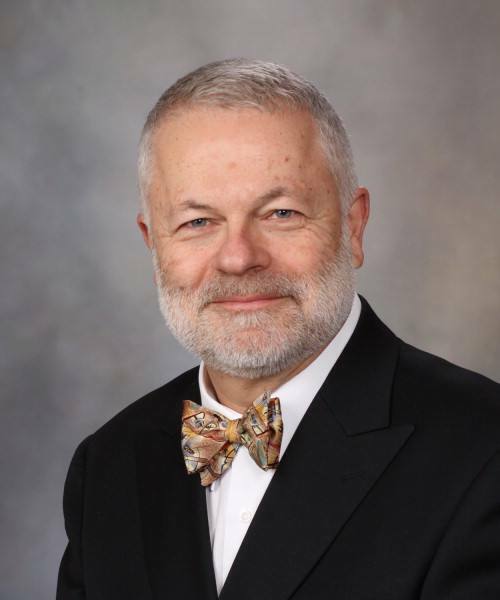 “Having the Mayo Clinic Lectures in Individualized Medicine at this conference positions Mayo Clinic as a world leader in this rapidly emerging area of patient care and related basic science. The important work we presented was well received by influential physicians and scientists from Europe, the United States and beyond,” says Dr. Ordog. “After 14 years of collaboration between Mayo Clinic and ISABS, I believe this was truly our best meeting. More than 550 attendees and 60 lecturers (including three Nobel Prize Laureates), altogether from 40 countries participated,” says Dragan Primorac, M.D., Ph.D, conference co-founder. Stanimir Vuk-Pavlovic, Ph.D., emeritus professor of Biochemistry and Molecular Biology at Mayo Clinic; Dragan Primorac, M.D., Ph.D., professor at the Universities of Split, Rijeka, and Osijek, Croatia, and Moses Schanfield, Ph.D., professor of Forensic Sciences at George Washington University, created ISABS to promote, enhance and extend research, development and education in molecular biology as applied to clinical and molecular medicine, forensic and anthropological genetics, and biotechnology. The conference also featured Nobel Prize winners Herald zun Hausen (Nobel Prize in Physiology or Medicine, 2008; German Cancer Research Center University of Heidelberg University of Heidelberg), Ada Yonath (Nobel Prize in Chemistry, 2009; Weizmann Institute of Science, Rehovot, Israel), and Robert Huber (Nobel Prize in Chemistry, 1988; Max Planck Institute of Biochemistry). Croatian Minister of Science and Education Mrs. Blazenka Divjak, Minister of Health Milan Kujundžić, Minister of Tourism Gari Cappelli, and Mayor of Dubrovnik, Mr. Mato Franković also attended. Read our previous post on the ISABS Conference. Hear Mayo Clinic and other world-renowned experts discuss the latest research in precision medicine and how it can be applied to improve diagnosis and treatment for many conditions at Individualizing Medicine 2017: Advancing Care Through Genomics.